I’m pretty sure you’ve seen most of these photos already – at least, the vacation ones, but still, it’s early in September and that means it’s time to look back on the photos I took in the month of August. So much happiness in that mosaic! The beach and some flowers and lots of food and drink! And, pictures of people, which you know is something I struggle with when it comes to my daily photo habit. August was certainly a very good month. Even if we’ve seen them already there are so many lovely ones worth a second look! Yes, August certainly was a good month! I enjoy your photos so much. What a fantastic month and one that is worth putting on replay more than once! 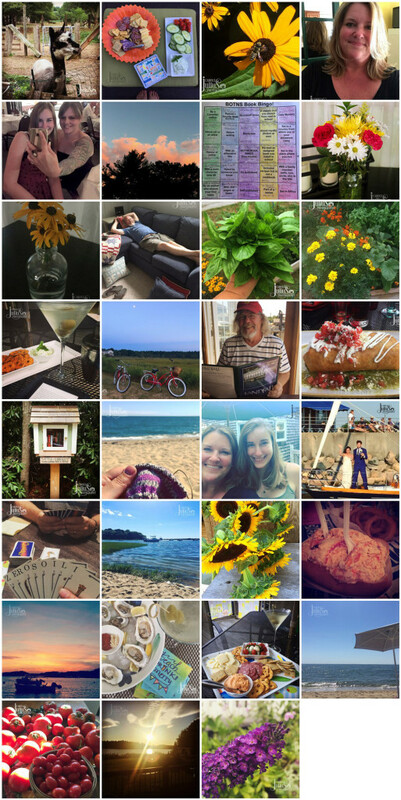 Your August was a beautiful month! !